Dr. Ernest A. Mancini is a very worthy recipient of the 2013 Doris Malkin Curtis Medal. His distinguished career has been marked by the development of new concepts for understanding the geology of the Gulf of Mexico Basin and significant contributions to advancing our knowledge of the geohistory, sequence stratigraphy, chronostratigraphy, and petroleum systems of this important region, as well as other areas of the world. The award of the Curtis Medal to Dr. Mancini is a truly fitting and deserved recognition of the importance of his career and work over the past 39 years, as well as an appropriate honor to the memory of Dr. Curtis and her many contributions to Gulf Coast geology. Ernest A. Mancini, better known as Ernie, was born in Reading, Pennsylvania, in 1947. He earned his B.S. in biology from Albright College in 1969, followed by an M.S. in zoology from Southern Illinois University in 1972, and a Ph.D. in geology from Texas A&M University in 1974, where his supervisor was Dr. Robert J. Stanton, Jr. His work with Dr. Stanton led to his passion for study of the Mesozoic and Cenozoic stratigraphic succession of the Gulf Coastal Plain of North America. Ernie began his professional career as an exploration geologist for Cities Service Company in 1974. In 1976, he accepted a call to teach and further his research interests through dual appointments at the University of Alabama in Tuscaloosa as an Assistant Professor in the Department of Geological Sciences and as a Petroleum Research Geologist with the Mineral Resources Institute. He rapidly advanced to Associate Professor in 1979 and Professor of Geology in 1984. In 1982, Ernie was appointed Alabama's sixth State Geologist and fourth Oil and Gas Supervisor and became Director of the Geological Survey of Alabama and the State Oil and Gas Board of Alabama. He served in these capacities until 1996, while maintaining his teaching and research role at the University. Ernie was appointed Distinguished Research Professor by the Board of Trustees of the University of Alabama System in 2005 and was named the Blackmon-Moody Outstanding Professor in 2007. He received the Burnum Distinguished Professor Award and became Professor Emeritus in 2010. Dr. Mancini served as Interim Director of the School of Mines and Energy Development at the University from 1988-1989 and he was appointed as the first Director of the Eastern Gulf Region of the Petroleum Technology Transfer Council in 1995. Ernie founded the University of Alabama Center for Sedimentary Basin Studies in 1998 and he served as Interim Chair of the Department of Geological Sciences from 2008-09. In 2010, he was appointed the first director of the Berg-Hughes Center for Petroleum and Sedimentary Systems at Texas A&M University, where he was a Research Professor in Geology and Geophysics and holder of the Dan Hughes Endowed Chair in Petroleum and Sedimentary Systems. Ernie is recognized internationally for his research on the sequence stratigraphy, chronostratigraphy, and petroleum geology of strata in Gulf Coastal Plain of North America and the Gulf of Mexico Basin, and he has published extensively on these subjects throughout his career. Ernie continues to augment his extremely impressive publication record as he documents his currently ongoing research efforts. He has edited abstract and program books associated with American Association of Petroleum Geologists Hedberg Research Conferences on sequence stratigraphy, the origin of petroleum, microbial carbonate reservoir characterization, and carbonate reservoir characterization and modeling, and has prepared numerous unpublished technical reports resulting from funded research projects. His work detailing the utilization of an integrated chronostratigraphic framework for inter- and intra-basin correlation of Jurassic, Cretaceous, and Paleogene strata and on microbial carbonate facies and reservoirs is widely cited. He is known throughout the petroleum industry for his research on the diagenesis of deeply buried carbonate rocks, on the stratigraphy and petroleum geology of eolian facies and reservoirs, on the characterization of petroleum carbonate reservoirs, on the modeling of petroleum systems, and on the geohistory of the Mesozoic interior salt basins of the Gulf of Mexico. In addition to his research, Ernie has always demonstrated a truly exceptional willingness to share his knowledge and expertise and he has supervised over 30 theses and dissertations on micropaleontology, paleoecology, and biostratigraphy; sequence stratigraphy, depositional systems and sedimentology; and sedimentary basin studies and petroleum geology. He has given numerous invited technical presentations and scores of technical meeting presentations to a broad range of academic, industrial, regulatory, and governmental organizations and agencies. Ernie has served as leader for numerous geological field trips, thus sharing his knowledge and expertise with other geologists at the outcrop. These field trips and many other professional society conferences and technical sessions and symposia that he has co-organized and/or co-convened have fallen under the auspices of organizations such as the International Geologic Congress, International Subcommission on Stratigraphic Classification, Geological Society of America, American Association of Petroleum Geologists, Gulf Coast Association of Geological Societies, Gulf Coast Section of the Society of Economic Paleontologists and Mineralogists, and the Alabama Geological Society. He has served on the Editorial Boards for the Journal of Stratigraphy (2005-09) and Environmental Geology and Water Sciences Journal (1991-1992). He was an Associate Editor for the American Association of Petroleum Geologists Bulletin and served as the American Association of Petroleum Geologists' Elected Editor from 2004-07. He was also Editor for the State Geologists Journal (1984-86). Ernie's achievements as an administrator and public servant are also widely recognized. In 1982, he accepted the challenging position of Director of the Geological Survey of Alabama (State Geologist) and Supervisor of the State Oil and Gas Board. During his tenure, he successfully and skillfully guided these organizations through changes and challenges related to shifting emphases in local and national research priorities and budgetary constraints. Through Ernie's dedication to the citizens of Alabama and his steadfast integrity and leadership, he established the Survey and Board as two of the most productive, efficient, and respected governmental agencies within Alabama, a legacy that lives on today. During his tenure as State Geologist, over 450 technical reports and maps were published on the mineral, energy, water, and biological resources of Alabama, and the first new statewide geological maps of Alabama since 1926 were published, a monumental achievement. In addition, during Ernie's administration of the State Oil and Gas Board, Alabama became a major producer of natural gas with the advent of production from the Norphlet Formation in offshore state waters and coalbed methane gas from the Black Warrior Basin. Ernie has served in important leadership roles innumerous local and national professional associations, societies, and research programs and projects. These include: President of the American Geological Institute, President of the Association of American State Geologists, President of the Gulf Coast Section of the Society of Economic Paleontologists and Mineralogists, President of the Southeastern Section of the Paleontological Society, Chair of the North American Commission on Stratigraphic Nomenclature, Chair of the Southeastern Section of the Geological Society of America, Chair of the Minerals and Energy Resource Section of the National Association of State Universities and Land-Grant Colleges, and President of the Alabama Geological Society. He has served on the Board of Natural Resources for the National Association of State Universities and Land-Grant Colleges, the Board for the Center for Legislative Energy and Environmental Research, and on executive committees for the American Geological Institute, American Association of Petroleum Geologists, Association of American State Geologists, Gulf Coast Association of Geological Societies, and Gulf Coast Section of the Society of Economic Paleontologists and Mineralogists. He was appointed by the Secretary of the Interior to the U.S. Department of the Interior Advisory Board Committee, serving as Chair from 1987-89 and receiving a Resolution for Outstanding Contributions in Public Policy in 1996. He was appointed by the Governor of Alabama as an Alabama Natural Resource Trustee and as the State's Representative to the Interstate Oil and Gas Compact Commission. He also has served as a Trustee for the American Geological Institute Foundation. Ernie's work has led to recognition by his peers in the form of a number of awards, including the Gulf Coast Association of Geological Societies Don R. Boyd Medal (2011), American Association of Petroleum Geologists Levorsen Petroleum Geology Award (1980), four Best Paper Awards from the Gulf Coast Association of Geological Societies (1980, 1982, 1985, and 2001), the Best Poster Award from the Gulf Coast Section of the Society of Economic Paleontologists and Mineralogists (1981), and the American Association of Petroleum Geologists Award of Excellence, Top 10 Oral Presentation, International Conference (2010). He was also selected as the American Association of Petroleum Geologists Haas-Pratt Distinguished Lecturer for 1988-89. In 1998, Dr. Mancini received the Outstanding Educator Award from the Gulf Coast Association of Geological Societies, and in 2000, he was awarded the Distinguished Educator Award by the American Association of Petroleum Geologists. He was elected as a Fellow in the Geological Society of America in 1995. In 2004, Ernie Mancini received the highest honor awarded by the American Geosciences Institute, the prestigious Ian Campbell Medal, for his research and teaching accomplishments and commitment to public service. Ernie was awarded Honorary Membership to the Gulf Coast Section of the Society of Economic Paleontologists and Mineralogists in 1991, Honorary Membership to the Association of American State Geologists in 1996, and Honorary Membership to Gulf Coast Association of Geological Societies in 2003. He was awarded Honorary Membership to the American Association of Petroleum Geologists in 2008 for "exceptional leadership in the geosciences, outstanding achievements as an educator and researcher of petroleum geology, and distinguished service to the Association." He received the Association of American State Geologists Distinguished Service Award in 2010, and Awards of Excellence from the American Association of Petroleum Geologists for his service as Chair of the Research Committee in 2004 and Elected Editor in 2007. 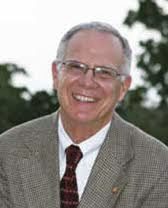 Dr. Ernest A. Mancini's numerous contributions to further our understanding of the geology of the Gulf of Mexico Basin as well as his achievements in government, academia, and service, are therefore recognized with our highest esteem and appreciation by the award of the Doris Malkin Curtis Medal. Ernie has been my mentor, colleague, and, most importantly, my friend, for over 30 years. Thus, I have had ample opportunity for first-hand observation of his abundant contributions to our profession in service, research, and teaching, and to work directly with him as he has conducted significant research focused on answering important questions surrounding the geology of the Mesozoic and Cenozoic strata of the Gulf Coast. My admiration and respect for his knowledge, abilities, work ethic, and capacity for achieving important and substantive goals and objectives are unsurpassed. Therefore, it is my great privilege to provide this Citation for the Doris Malkin Curtis Medal to a most deserving recipient, Dr. Ernest A. Mancini. Berry H (Nick) Tew, Jr.